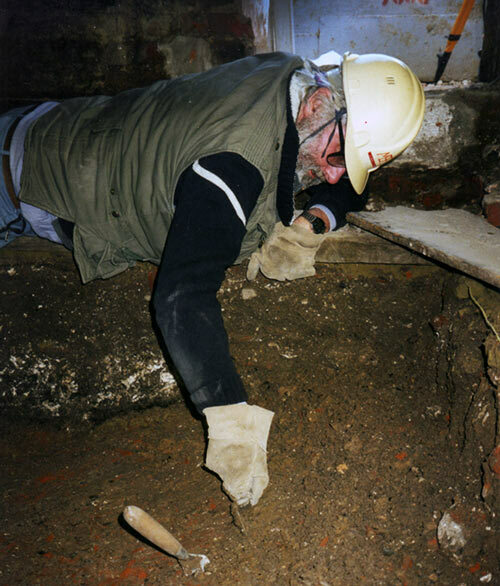 A past excavation of great interest – the ‘Survey House’ dig. 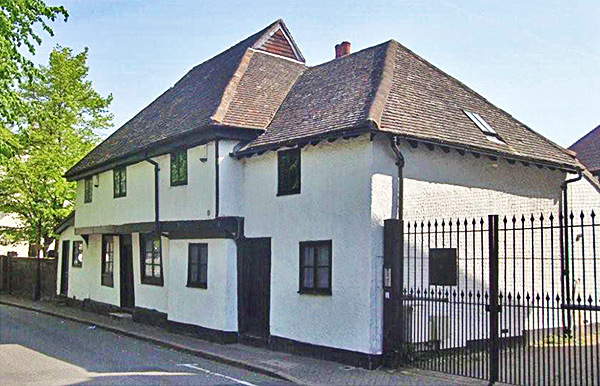 Between 1998 and 2000 ODAS excavated a timber-framed house in St. Mary Cray which dates from around 1510 (Survey House). We found evidence of an even earlier building on the site, and began to build up a picture – incomplete at present – of how the house was altered and enlarged over its long history. An ODAS publication gives a preliminary account of our excavations with scale drawings and further detailed information. (see publications page). Here are a few points of interest about the house and our findings. The plan (bird’s eye view) below shows something of its development over time. The green areas in the middle section indicate medieval dates, belonging to an earlier house. We have found part of a wall, floor and hearth that date from 1130 – 1250. The layout of the dwelling then was different, certainly narrower, and possibly extending further back. The structure above ground that remains today is not medieval – these parts of the older house came to light as we excavated. Around 1510, in Henry VIII’s reign, a two-storied timber framed house was built. It had three bays (shown in red) and a jetty that projected over the front of the house. The wood used to build the house was Elm. Soon after it was constructed, some of the roof beams warped, requiring repairs. The construction of the house may have been a low-cost undertaking – perhaps Elm was used as it was cheaper than Oak. Elm cannot be be dated by dendrochronology, so we don’t have an exact date for the timber, but we think this structure was built between 1500 and 1520. The exact layout of the house at this time is not known. It had diamond mullion windows, traces of which remain. A brick chimney with ovens for baking was either built with the house or added soon after. It was located at the rear of the central bay, which formed the main living room of the house. Written on a wall on the early original plaster, underneath many layers of later wall coverings, a fragment of a text from the Bible – man dies but once and after death comes judgement (Hebrews 9). This probably dates from the early 1500s. Some modifications were made in the mid 17th Century. 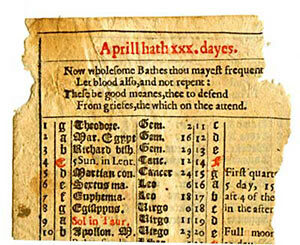 Pages from an almanac dating from that time have been found pushed into a peg-hole. Extensions were built to the side and rear of the older house. Panelling was put in one of the rooms – the workmanship and materials were of some quality, so whoever owned the house then had money to spend. There is an elegant shell cupboard in the rear wall of the panelled room. More extensions and conversions. It seems the house came to be used by a greater number of people – perhaps as lodgings for local workers. We can tell from census records who was living there and what occupations they had. At this time the house seems to have had a lower status than before. There was shop frontage in Victorian times, and the use of the building as shops survived into the 20th Century. In the 1930s there was a dining-room (cafe or restaurant) and a greengrocer’s. Toward the end of the century, the house was used as offices by a firm of Architects, hence Survey House – the name is modern. In the 1990s it fell into disrepair and was purchased for re-development into houses. The current owners have dealt sympathetically with the history of the building and have allowed ODAS access to excavate, for which we extend our thanks.